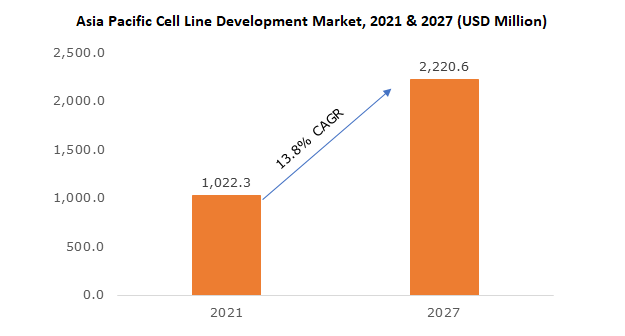 APAC cell line development market size was valued at USD 756.9 million in 2017 and is expected to witness growth of more than 14.2% CAGR from 2018 to 2024. Asia Pacific cell line development industry is anticipated to witness robust growth during the forecast period owing to numerous efforts undertaken by biologics manufacturers to increase their production capabilities as well as consolidate market position. Growing demand for monoclonal antibodies and vaccines will further stimulate industry growth. Unhealthy dietary habits, sedentary lifestyle and rising consumption of alcohol and tobacco has elevated number of people suffering from chronic conditions such as cancer. Nearly 70% of cancer deaths occur in low and middle-income countries, Asia Pacific accounting for majority of the share. High investment towards developing stable cancer cell lines with an aim to reduce disease burden in the region will accelerate industry growth. 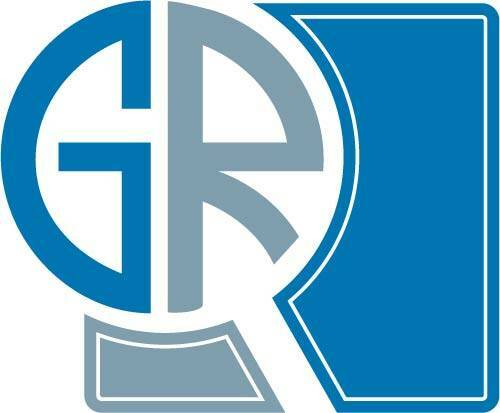 Skyrocketing growth of biosimilar market, increasing healthcare expenditure and rising number of bioprocessing and biomanufacturing facilities in Asia will stimulate business growth in the region. However, ambiguous nature of regulatory guidelines and concerns pertaining to stem cell research will hamper industry growth to certain extent over the coming years. Reagents and media segment dominated Asia Pacific cell line development industry in 2017 and is estimated to continue dominating during the forecast period. Reagents and media form an essential part of cell cultures as media provides required growth nutrients to growing cells while reagents used during cell line development includes antibiotics, cell separation, attachments and matrix factors, biological buffers, freezing and dissociation reagents as per the cell requirements. Continuous cell line segment is estimated to witness around 14.1% CAGR due to rapid growth of biopharmaceuticals industry in Asia Pacific. Moreover, increasing research activities pertaining to bio-banking, stem cells, and genomics will contribute significantly to the growth of continuous cell lines. Based of application, the industry is bifurcated into drug discovery, bioproduction, toxicity testing, tissue engineering and research. Toxicity testing segment is anticipated to witness considerable growth during the forecast period owing to rising application of cell lines for toxicity testing as it is primary parameter for drug discovery and any other therapeutic intervention. China cell line development market held more than 20% market share in 2017 and is expected to show significant growth during the forecast timeframe. Technological innovations in mammalian cell line development, growth in production of vaccines and monoclonal antibodies coupled with government’s support for growth of biopharmaceutical sector will drive China cell line development market. Biopharma has been considered as high priority sector under the government’s Made in China 2025 plan will positively impact industry growth. Prominent industry players operating in Asia-Pacific cell line development market are GE Healthcare, Thermo Fisher Scientific, Lonza Group, Sigma-Aldrich Corporation (Merck), WuXi AppTec, Sartorius, Corning, Selexis, EuBiologics, Patheon, Samsung Biologics, GVK BIO, Progenitor Cell Therapy (PCT), and Abzena. Strategic partnerships, collaboration, mergers and acquisitions are major strategies adopted by industry players. Asia-Pacific cell line development market will witness robust growth during forecast period owing to tremendous expansion of biologics industry. Cost competitiveness along with high skilled human resource has attracted major biopharmaceutical players. As per estimates, nearly 50% of new biomanufacturing and bioprocessing facilities in the world are built in Asian region. Strategic partnership and agreement between the industry players to strengthen their cell line development product portfolio in Asia Pacific will positively impact growth. For instance, In August 2014, Samsung Biologics entered into strategic alliance with Merck Millipore to provide raw materials for biopharmaceutical manufacturing.